Macbeth's wife. Unlike her husband, she has no reservations about murdering Duncan in order to make Macbeth King of Scotland. She believes that a true man takes what he wants, and whenever Macbeth objects to murdering Duncan on moral grounds, she questions his courage. Lady Macbeth assumes that she'll be able to murder Duncan and then quickly forget it once she's Queen of Scotland. But she discovers that guilt is not so easily avoided, and falls into madness and despair. Macbeth: If we should fail. The timeline below shows where the character Lady Macbeth appears in Macbeth. The colored dots and icons indicate which themes are associated with that appearance. Florman, Ben. 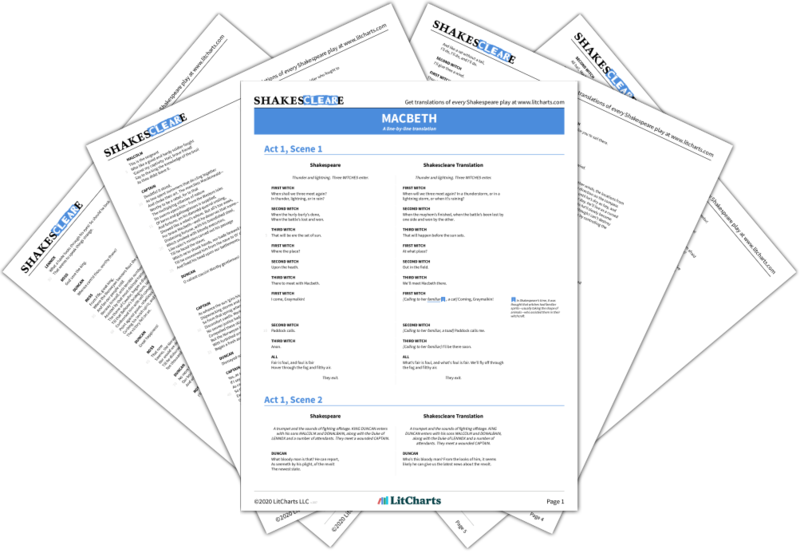 "Macbeth Characters: Lady Macbeth." LitCharts. LitCharts LLC, 22 Jul 2013. Web. 22 Nov 2018. Florman, Ben. 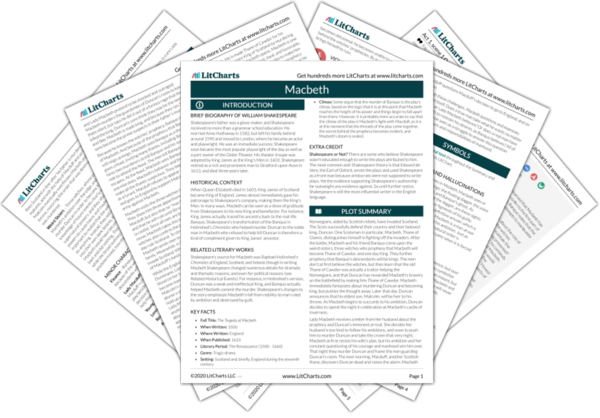 "Macbeth Characters: Lady Macbeth." LitCharts LLC, July 22, 2013. 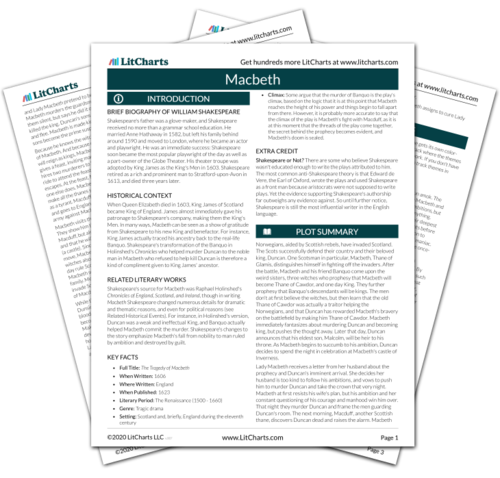 Retrieved November 22, 2018. https://www.litcharts.com/lit/macbeth/characters/lady-macbeth.